While lawyer Sam Bregman, a former Albuquerque city councilor, announced Wednesday that he is running for chairman of the New Mexico Democratic Party, incumbent Chairman Javier Gonzales said he hasn’t decided whether he’ll run again. Gonzales said he’s trying to decide whether he’d rather stay on as party chairman or keep his position as a regent at New Mexico State University. He is slated this year to become chairman of the Board of Regents. “It would be difficult to continue wearing both hats,” Gonzales said. He said he’ll make his decision soon. The party’s central committee will chose its new chairman in late April. Gonzales, a former Santa Fe county commissioner who has been chairman since 2009. Bregman began his political career as a precinct chair when he was 18. He’s also worked as a prosecutor with the district attorney in Albuquerque. He was on the City Council from 1995 to 1999. Bregman worked as a deputy state auditor. In 2000 he ran in the Democratic primary for Congress. 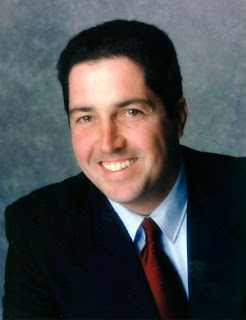 In 2004, Bregman was vice chairman of the state Democrats. Letitia Montoya of Santa Fe also has been campaigning for the party position. Reports? We Don't Need No Stinkin' Reports! The Stink About the "Lovefest"
Has The Tea Party Saved Ben Lujan? Don't Take Your Gun to Town, Adam. What? No Mark Boitano Building in the Works? Only Two Weeks Until The Legislature!